Many years ago, when I was the Executive Director of a community college, the Board decided we needed to hire a consultant to help us with our fundraising. I was all for it, and excited that the Board was taking the lead. With no fundraising staff, they were our solution to the thorny problem of raising funds for the college. They worked diligently on creating an RFP, sending it out and then carefully screening and interviewing prospective consultants. I was pleased with their final choice—and then quickly disillusioned. She came into our first meeting with “the book,” of what she had already decided we needed to do, although that really didn’t address our most pressing needs. Yes, everything she talked about would have been wonderful, but, frankly, we did not have the resources to do what she wanted us to do. It reminded me of a conference I had gone to where one speaker told the audience—which was made up of ED’s who had at best one development staff person and most of us would have found that an amazing luxury—that every week we should have a one-hour development staff meeting, where everyone could tell each other what they were up to. Hmmmm….was this someone who didn’t know her audience or what? Likewise with my consultant. We tried to tell her about our facts of life, but she didn’t seem to get it, and we quickly parted ways. It made me be very clear that when I hung out my consulting shingle I would work very differently and make sure that I responded to clients’ needs and not to a boilerplate book of ideas and techniques. But as I began consulting I discovered that—as with most things—there is more than one side to every story. Even with my benighted consultant, some of the problem was with us. We thought—I thought—that the consultant would come in and hocus pocus, we would have a tried and true way to raise the money we so desperately needed to raise. My Board clearly defined what we needed and what we wanted our outcomes to be, but we spent no time in defining what we were actually willing and/or able to do to get there. And yes, our consultant should have first learned about those things—but in her defense, we had to first be clear about what those things were. Or even more definitively, get a case statement developed, a grant written, an event produced. Both sides must be willing to state what they expect of themselves and each other, and only when there is an agreement can the assignment begin. A lot of bad consulting experiences happen because of bad consultants. But a lot more happen because of bad consulting agreements before the work begins. 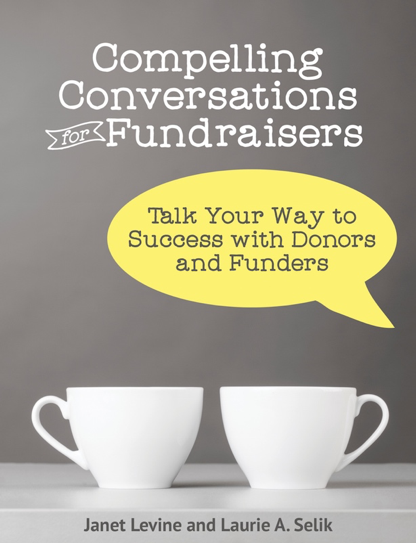 Janet Levine works with nonprofits and educational organizations helping them to increase fundraising capacity. She feels strongly that consulting is collaborative—with client and consultant working closely together to reach agreed upon goals. Visit http://janetlevineconsutling.com and learn how Janet can help you and your organization reach your goals. While there, sign up for the free monthly newsletter. This entry was posted in accountability, consulting, fundraising and tagged clarity, communications, consultants, consulting, Consulting Agreements, fundraising, working with consultants. Bookmark the permalink.